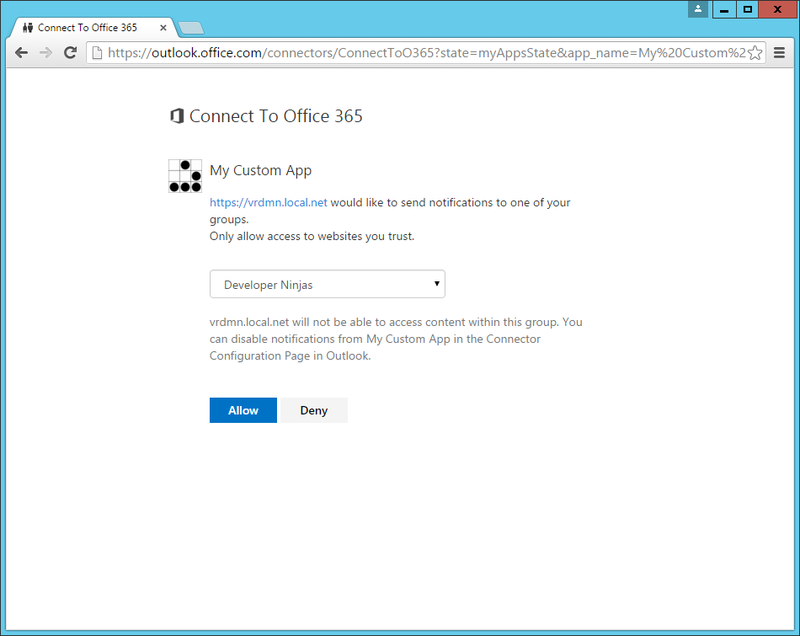 At Connect(); 2015, a new feature for Office 365 Groups called custom connectors was launched. 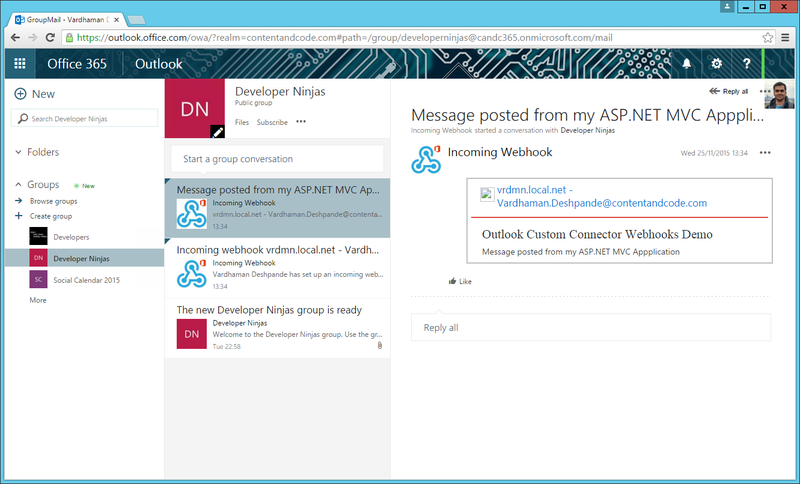 With custom connectors, a new conversation can be started within an Office 365 Group programmatically, from your own custom application. In this post, lets have a very simple look at how to use a custom connector from your ASP.NET MVC application. 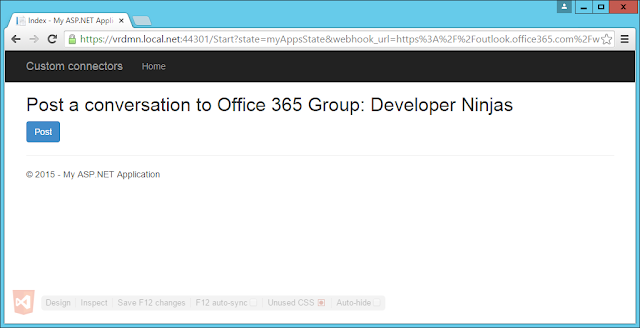 state You can use the state parameter to save your application state. If you supply a value for state it is returned back to the specified callback_url when the application returns. This is an optional parameter. app_name Provide your application name. This name will show up in the authorization popup and in the connector list page that your users would see. The app_name is a mandatory parameter and can range from 1 to 100 characters. app_logo_url Provide the URL to your application logo. Ensure that the link is not behind an authentication wall and is publicly reachable. Use a logo of size under 10KB (preferably 256x256px) and type JPEG, PNG, GIF, TIFF, BPM, X-ICON or SVG+XML. The app_logo_url is a mandatory parameter. 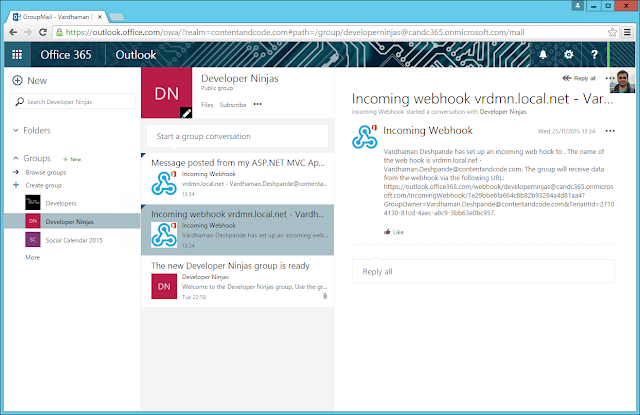 callback_url The callback URL should be a valid HTTPS URL without any query parameters. When the application returns successfully, the state passed, name and webhook URL of the selected group are returned as query parameters to the callback_url. 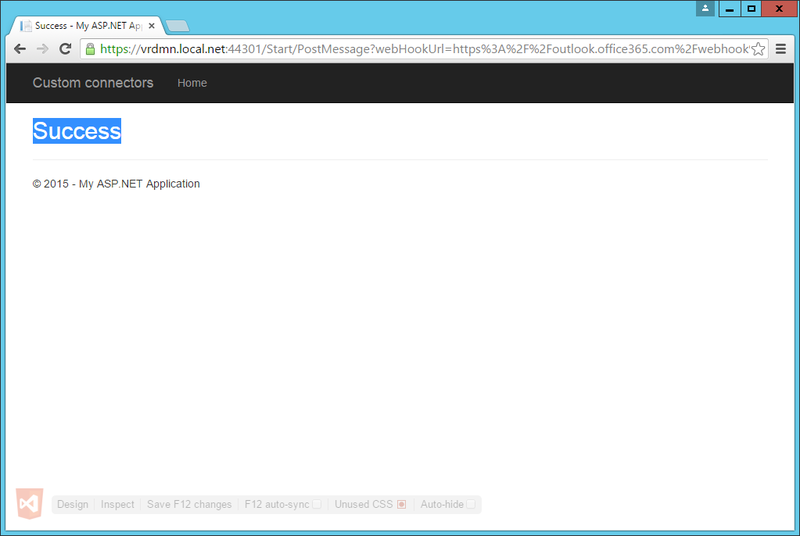 If the application encounters a failure the state passed and the error code are returned to the callback_url.